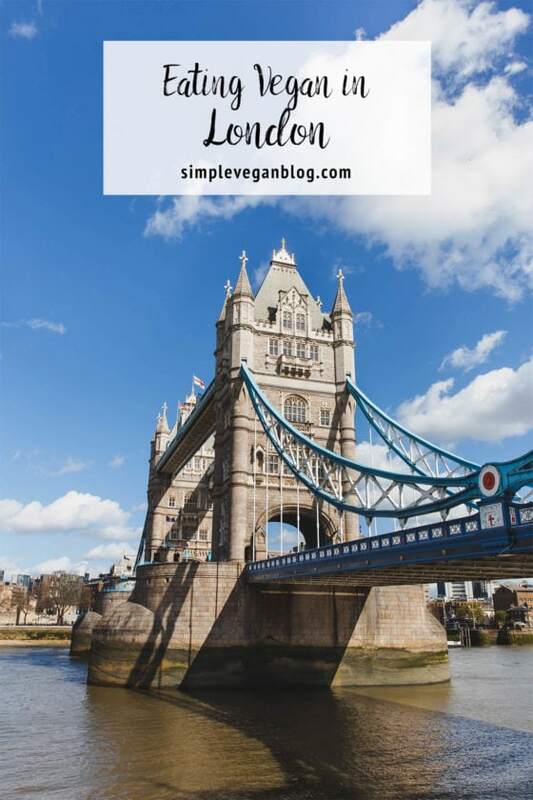 The post Eating Vegan in London appeared first on Simple Vegan Blog. I?ve been so busy after our travel to London, but finally the post is ready. These are the vegan places we visited. We wanted to make a post to help you guys if you go to London. We also went to Starbucks a couple of times to buy some hot drinks (chai latte or hot chocolate). I think you can find a Starbucks or Costa Coffee anywhere. I also want to recommend you a super helpful web for traveling: Happy Cow. It?s great for finding vegan or vegetarian places and we also have the app on our phones (the app is not free, but it?s totally worth it). We really loved London, I?d actually like to live there for a while, we?ll see? There are so many vegan restaurants, amazing supermarkets and the city is so beautiful. Eating vegan there is quite easy!